A New Year and new semester brings a lot of self-promises, especially around lifestyle. In 2016, the second most popular New Year’s resolution in Britain was to get organized (The Sun). Increasingly, however, there has been an interesting revival of a back-to-basics mode of organization: good old paper planners. 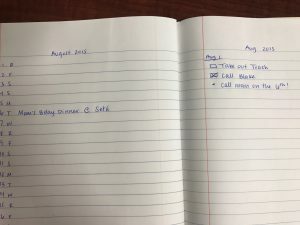 Whether taking form as bullet journals or monthly/weekly planners, the hype around a tangible, physical event tracker has people scrambling for the next ‘it’ thing in organization. Contrary to the rigidness of planners past, the autonomy of bullet journaling has ensnared many free-flow individuals. 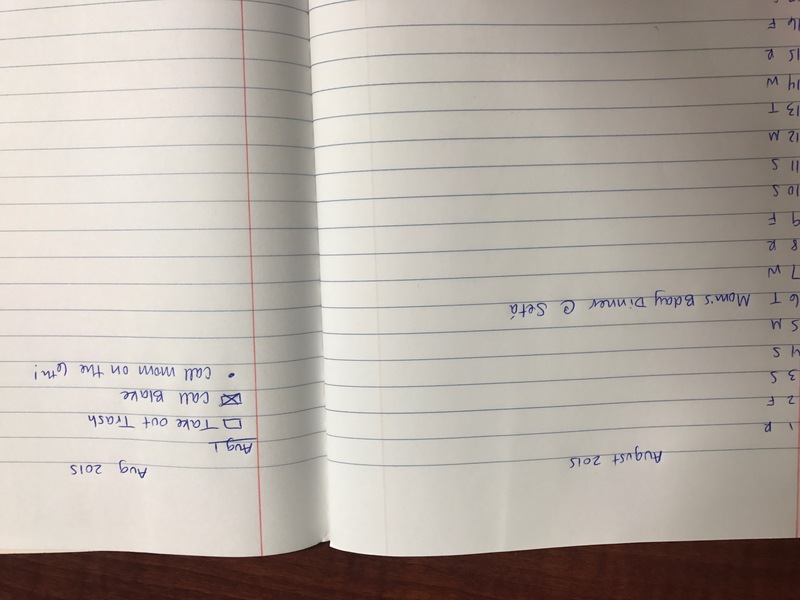 Bullet journaling typically begins by finding a journal whose pages are either lined or blank (something as simple as a composition notebook could work for those on a budget!). Moleskine journals are great for those looking for a more professional finish, and plenty more styles and colors can be found on any online retailer’s site. Now that you’ve accomplished step one, it’s on to step two: setting up your bullet journal. Leave the first couple of pages blank; these will serve as your index. If an event you really want to remember occurs, write the page number the event has been bulleted on. A few more blank pages can serve as a monthly calendar, but remember: keep it short and sweet! 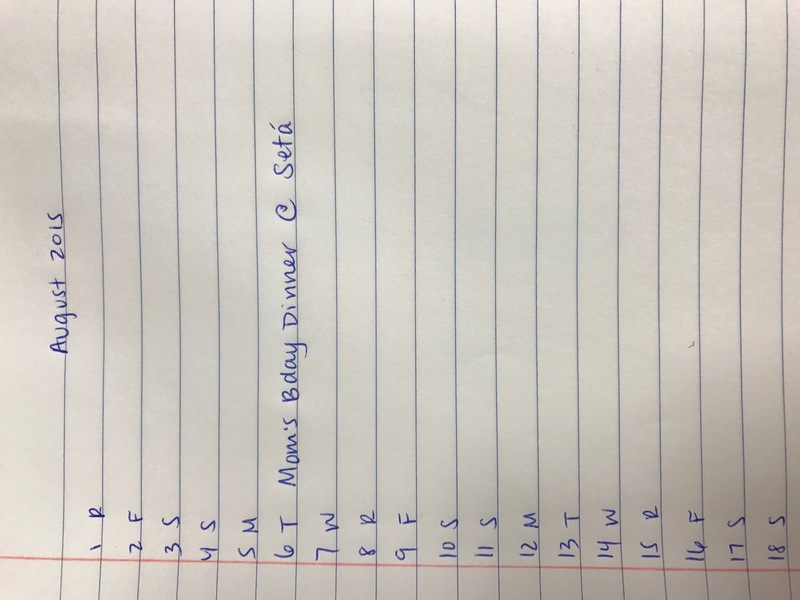 A date and quick reminder about the event is all that you should write. Finally, its time to start journaling: at the top of the next fresh page, write the date. As the day comes along, write down any tasks you do, thoughts you have, or events to remember. These should all be short bullets, which lend this form of journaling its name. Never pre-plan a day; things could pop up and require more lines than you accounted for. Strike through completed or cancelled events and tasks, but do it neatly and only once. You still want to be able to read what you have accomplished! 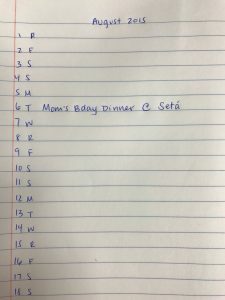 Here’s a link to a visual tutorial on bullet journaling to get a better idea of what a traditional bullet journal looks like. Feel free to make yours more ‘you’ with doodles, stickers, quotes, anything you can think of! Now that you’ve got the basics down, it’s time to go out and start journaling! While it can be difficult to remember to journal every day, the repetition will establish a healthy habit. Check out bulletjournal.com for more ideas on layouts; find answers to frequently asked questions, and bullet journaling forums. Cheers to the New Year!